2015 July « Healthy Foods In a SNAP! If your main goal is to save money, it’s best to shop alone. Children won’t be there to ask for items that are not on your list or put things in your cart. It will also be easier to compare prices and products to get the best buy. And your shopping trip will probably be shorter. On the other hand, shopping with children has advantages, too. 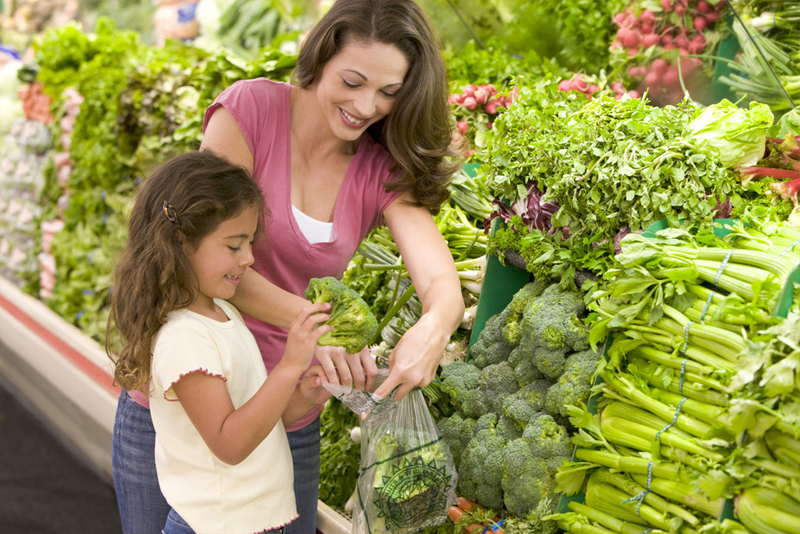 It’s an opportunity to teach them about foods and health, and let them choose healthy foods they might like. If you do take children, plan ahead. Make sure they are not hungry or tired. Plan what and how many choices you will let them have. For example, you might let them choose a vegetable, a fruit, a healthy cereal or snack, or a fun shape of pasta. Then check out in a child-friendly aisle to avoid tempting candy and treats. Plan ahead to get the most from your shopping experience! 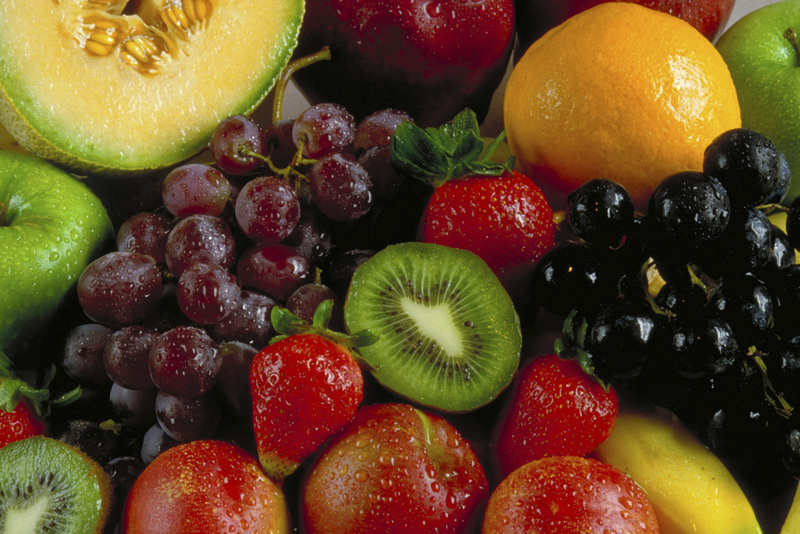 Fresh fruit is wonderfully juicy and delicious. But enjoying fruit when it has ripened just right can be a little tricky. Some fruits will ripen on your counter after you buy them — bananas, cantaloupe, kiwi, mangoes, nectarines, peaches, pears, plantains, and plums. To ripen them even faster, put them in a loosely-closed paper bag (not plastic). If your fruit has fully ripened and you are still not ready to eat it, store it in the refrigerator, but don’t forget about it. Food thrown away is money thrown away — enjoy fruit fresh! If you already grocery shop with cash, then you are ahead of the game. If you are not used to it, try it. First, check sales where you will be shopping and make a grocery list of the things you need. Invest in a cheap calculator and go to the store with enough cash to cover your food budget. You might take a little extra in case you want to stock up on something on sale. When you are limited by the cash you bring, you are challenged to use your creativity and buy only what you really need. 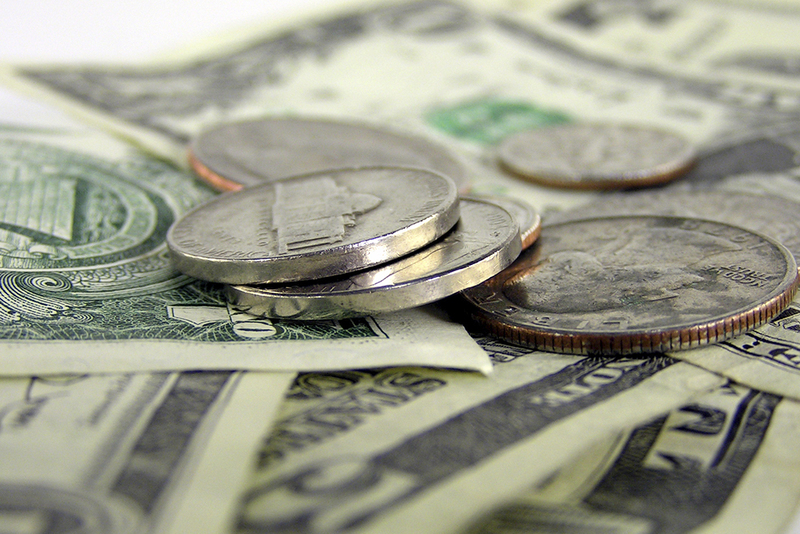 Using cash can be a great money-saver! Summer is right around the corner, and so is green bean season. Green beans are a good source of fiber, are low in calories, and add color to your plate. Buy green beans that are crisp – they should snap when bent in half. Store them loosely wrapped in plastic in the refrigerator, and use them soon for the freshest flavor. When you’re ready to use the green beans, wash them and cut or snap off the ends. You can put them in soups, stir-fries, and pastas. 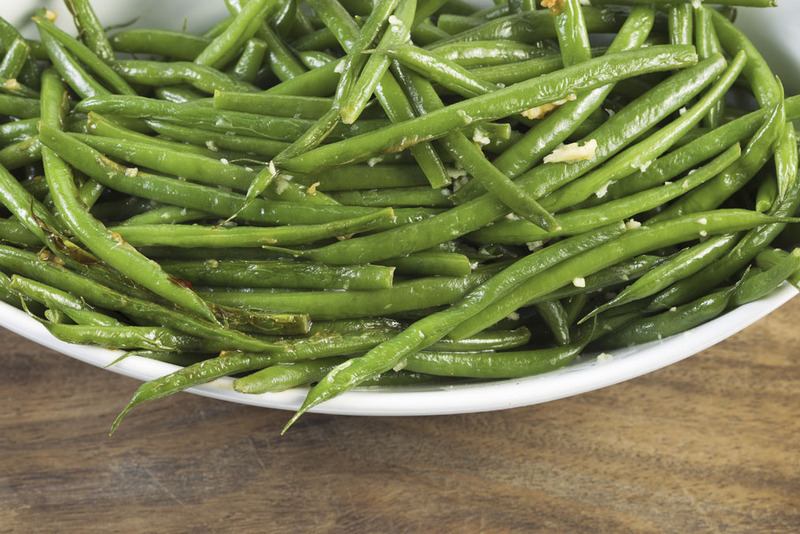 Steamed green beans also make a healthy and colorful side dish. However you eat them, enjoy the color, fresh taste, and nutrition of green beans this season!